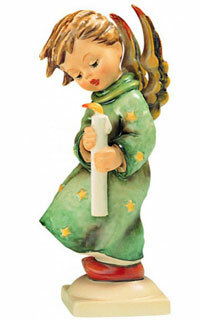 One of the first Hummels created is the ‘Heavenly Angel’ figurine. An angel wearing a long dress holds a candle in the wind. 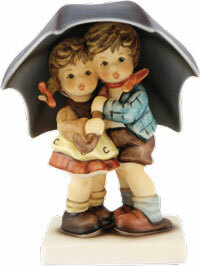 Made in Germany, this figurine was a popular Christmas ornament during the early 1900’s. 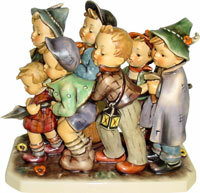 This piece produced within the Hummel factory features seven boys setting off on an adventure. 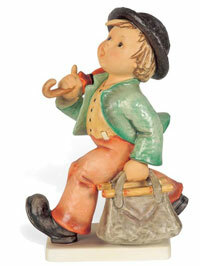 Adventure Bound is one of the more popular, larger Hummel figurines measuring eight inches long. Due to the detail in this particular Hummel, less were originally created making these pieces worth a small fortune to collectors. 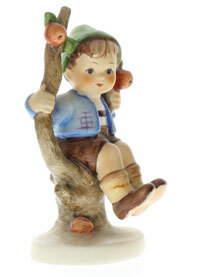 The ‘Apple Tree Boy’ Hummel figurine is one of the more rare Hummels to find today within the collection. The young boy wears a blue jacket and red cap and is perched on the bow of a tree. 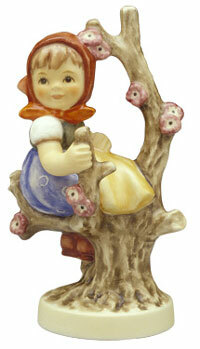 A similar figurine to the ‘Apple Tree Boy’, this figurine is of a young girl sitting on the branch of a tree. She is wearing a traditional dress, and her hair covered with a scarf. She is looking over her right shoulder into the distance. Often collectors like to have both girl and boy within their cabinets. 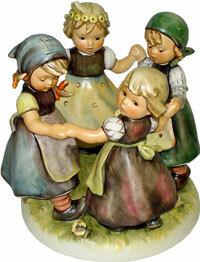 The ‘Ring Around the Rosie’ Hummel features four girls in a circle playing ring around the Rosie (a popular game of the 1900’s). This is a large ornament being seven inches tall. Very detailed and dainty, this Hummel is a popular collectors item. Expected Sale Price Today (depending on condition): Upwards of $1000. In immaculate condition, these porcelain ornaments can sell for almost $6000. Features both a young male and female keeping dry together under a large dark umbrella. Collectors often like pieces that contain more than one figurine making this a common Hummel collectors item.